Zeal For Life Drink at an unbeatable price! Canister Blast Off Promotion offers customers a Zeal Wellness Canister for $39.95 and Free Shipping for a year! – Unheard of! Zeal Wellness Canisters typically retail for $74.95 as a one time purchase and as a Preferred Customer, the Zeal Wellness Canister normally costs $64.95 on auto shipment. (Plus tax and shipping). Zeal Wellness Supplement is available with or without Guarara which is similar to caffeine. This offer is available only for customers in the USA, Puerto Rico, Canada and Mexico and you can cancel at any time, however cancellation will return your auto ship to original price. So, let’s get more specific with the details! Links below are for USA. For Canada and Puerto Rico, please change your location before placing order. Haga un clic aqui para Mexico. 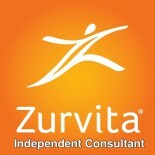 This entry was posted on January 6, 2019 by Zurvita.com/HealthRoads in Canada, Espanol, Free Shipping, Functional food, Nutrition, Nutrition and Wellness, Plant Based, Prices, United States, Weight Loss, Zeal For Life, Zeal For Life Products and tagged auto shipment, Canada, canister blast off, Free Shipping, Gluten Free supplements, glutenfree, Health, healthy food, Healthy Lifestyle, kosher, Nutrition, Plant Based, puerto rico, USA, vegan, Zeal Canister Sale, zeal drink, zeal for life, zeal for life drink, Zeal for life in Canada, zeal products, zeal supplement, zurvita customer.